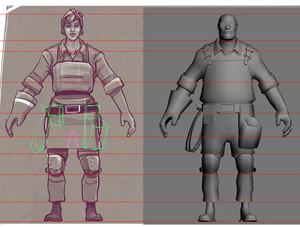 Shaylyn Hamm met fame within the Team Fortress 2 community when her work, under her monika Chemical Alia, was chosen to be part of the Polycount Pack. Like many of the other artists featured this was not the last time we were to see her work. 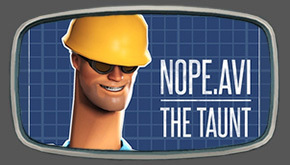 She has created Heavy, Medic and recently Spy in female forms and now looks to be doing the same for the Engineer. Shaylyn engages in heavy research rather than making thousands of sketches. She is currently at the point of needing to create a base mesh. For this she wishes to move away from the toolset she knows from her work as an environment artist for Gearbox Software and towards ZBrush. This means learning a completely new and different interface. A daunting task we wish her the best of luck with.